Welcome to my dairy free product watch for July & August. I’ve had a very busy summer so haven’t posted as often as usual, but we have found plenty of new things to try out! Have you any new favourite free from finds? I love the look of this and we picked some up from Tesco last week. We haven’t tried yet as I’ve promised to make pancakes to use it with so it’s hidden until the weekend. However I shared this photo on Instagram and it has been really popular and lots of people say they have tried and love this nut butter! 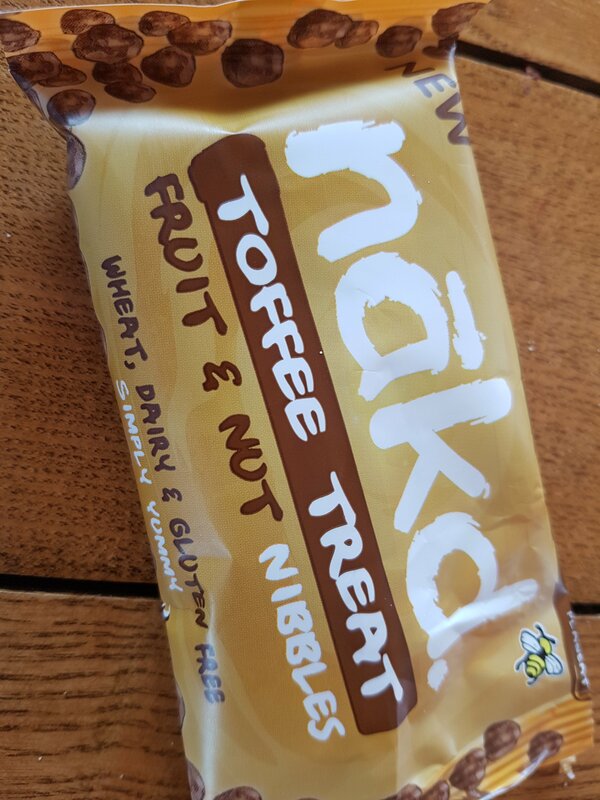 It contains hazelnuts, honey, cocoa, coconut and sunflower oil and is blissfully dairy free. 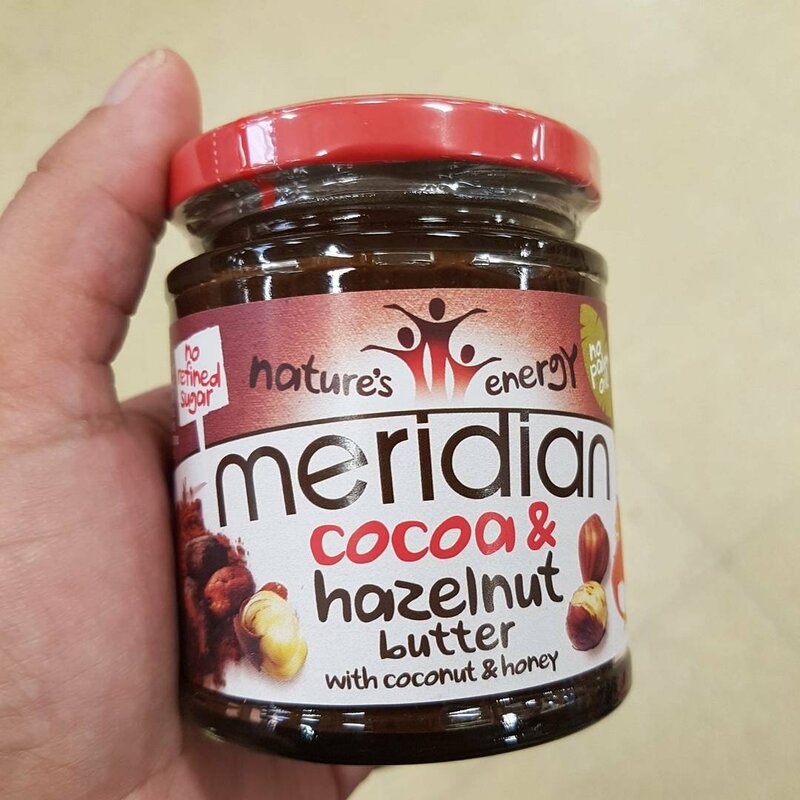 I got it in Tesco, but it should be available anywhere that stocks Meridian products – any good health store and major supermarkets. Priced at €6 the first day I was in Tesco and €5 a week later, so it’s definitely for special occasions. Well this was so popular it was empty by the time I got the chance to photograph it. 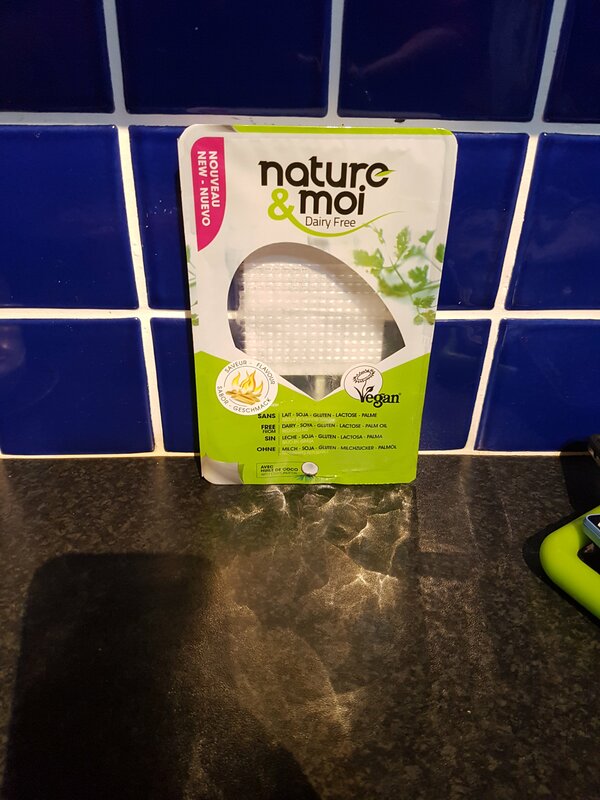 It’s cheese slices from Nature Moi which are Dairy Free, Soya Free, Gluten Free, Palm Oil Free and Vegan. This is the first time we have found a dairy free cheese the boys like. I am delighted as it adds an extra dimension to sandwiches and brightens up toasted ham sambos there’s nothing like the melted cheese on it to make it a real toasty. They have a few other flavours such as smoked and mozarella also. You can find in the free from fridge in Tesco and Dunnes Stores. We were sent a litre of this to try it for ourselves, the boys loved it, and have asked to buy it again since. It looks quite different to milk when you pour it, more watery so if you have fussy children they mightn’t like the look of it. We got a 4 pack of these for a picnic treat recently. They are made from dates, cashews, raisins and cocoa and the boys loved, their feedback was that they were lovely but there was too many in the bag! So we got to save the rest and enjoy them later! They are wheat free, dairy free & gluten free. I bought the multi pack in Tesco and they are available in the free from aisle of major supermarkets and all good health stores. There is a company called Velvet Cloud from Co. Mayo who are producing Sheep’s milk and yogurt products. They kindly sent us some yogurt to try. It is not as well known or used as cow’s milk but many of their customers report finding the sheep’s milk products easier to digest or they find it milder than goat’s milk so easier to drink. The molecules in the sheep’s milk are a lot smaller than that of cow’s milk, which is a possible reason why they pass through the digestive tract quicker causing less problems. The nutritional profile of sheep’s milk is also higher, specifically there is significantly more protein, calcium and Vitamin C in the milk. My older son who tolerates goats milk fine tried this and it is very mild, as it is natural yogurt I put it in smoothies rather than serve on its own. You can find the yogurts and milk in supermarkets mainly in Dublin and in the West of Ireland and any health food stores which order from Irish Independent Health Foods can order them in for customers on request. 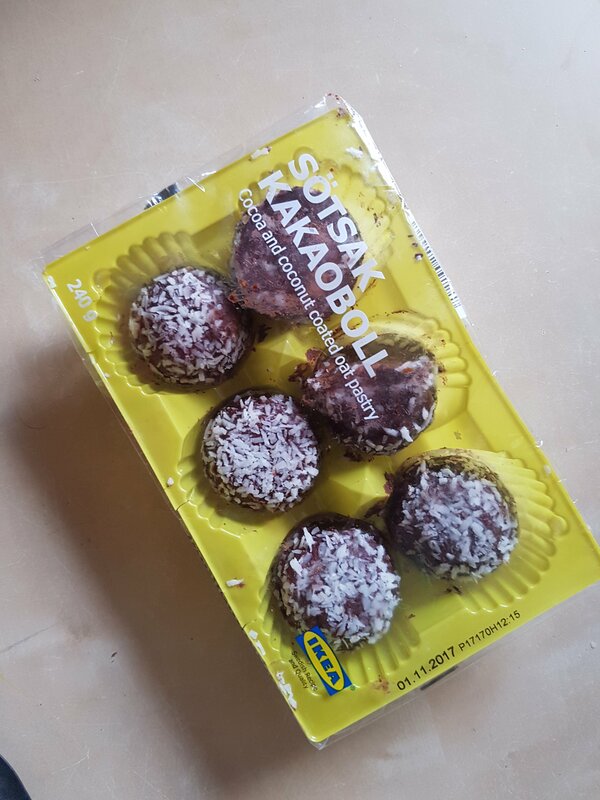 I picked these up in IKEA lately and didn’t realise until after that they had no milk ingredients. They have a ‘may contain milk’ warning though. They are cocoa and oat pastries and are really rich, you’d find it hard to eat a second one. My chocolate loving boy loved them, the other lad wasn’t able to finish one. 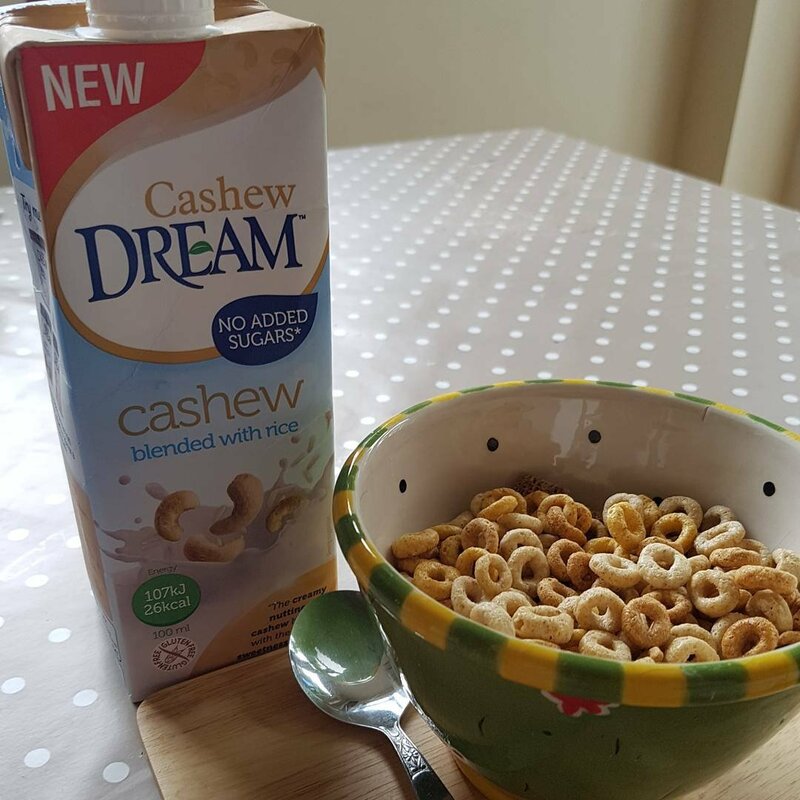 Disclaimer: I was sent Cashew Dream and Velvet Cloud yogurts to try, but I wasn’t paid or asked to write about them. All opinions as always are my own. Other products purchased myself.